If you’re fortunate enough to live in or near Portland, OR, you simply must visit the SCRAP store. 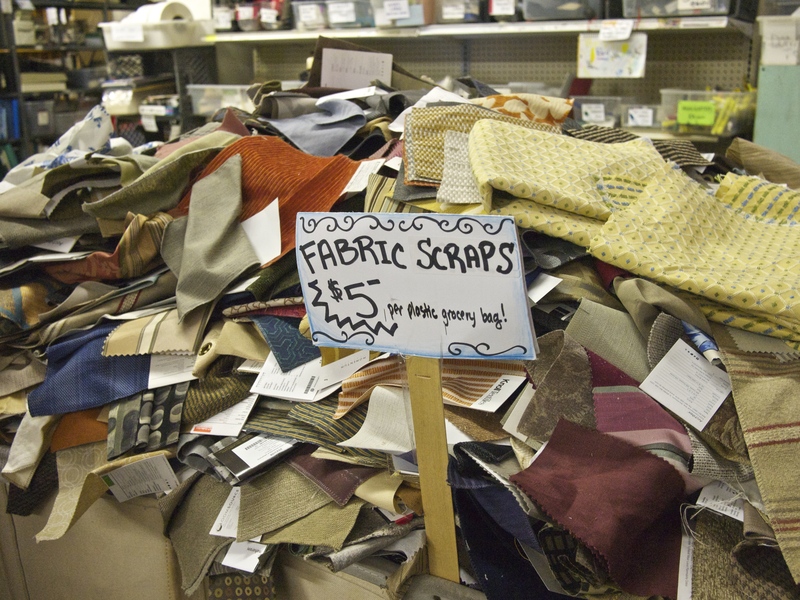 What would you make with such fine scraps? I’m glad to see you’re blogging again! And I’m with you on the idea of writing about what you feel like writing and just letting people come if they’re interested. 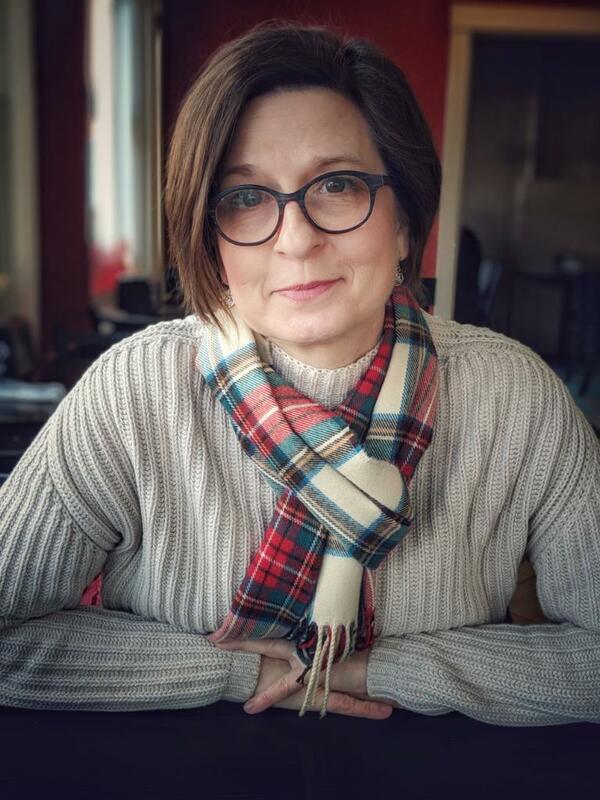 Although my blog started out as a way to document the projects we’re doing on our Sears house and our beach cottage, I’ve veered off into running, reading, friendship, retirement, pet ownership…. whatever hits me on any given day. Thanks, Diane. I always love seeing a new post up from you, no matter the topic. I’ve really been enjoying your pieces on running, as physical activity is something I struggle to do in a meaningful way. I’m so envious that you have relatively close access to a centre like SCRAP. I’d like to have both the donation options, and the purchasing options of such a place. I’m never quite sure if Goodwill wants bits of fabric (or any of the other things that SCRAP-type centres take), and it’s a shame to think of all the stuff that could be put to good use going to a landfill instead. My home city in Alberta has a centre much like it, and I’ve directed both my mother and my MIL there (as a place they can go to get rid of their excess fabric; they’ve both been big sewers in the past, but are trying to downsize their stashes now that they don’t sew much anymore). I like your thinking–about the throw and everything else. I love wandering around the SCRAP store. My favorite part is where they display projects people have made with their stuff. I’m always so impressed with other people’s visions. We’re really fortunate to have so many great sources of materials near us. I’m afraid my chair addiction could easily be supplanted by a pillow addiction. But, yeah: That’s probably what I will make. Yay!!!! You’re back! I love all those scraps. 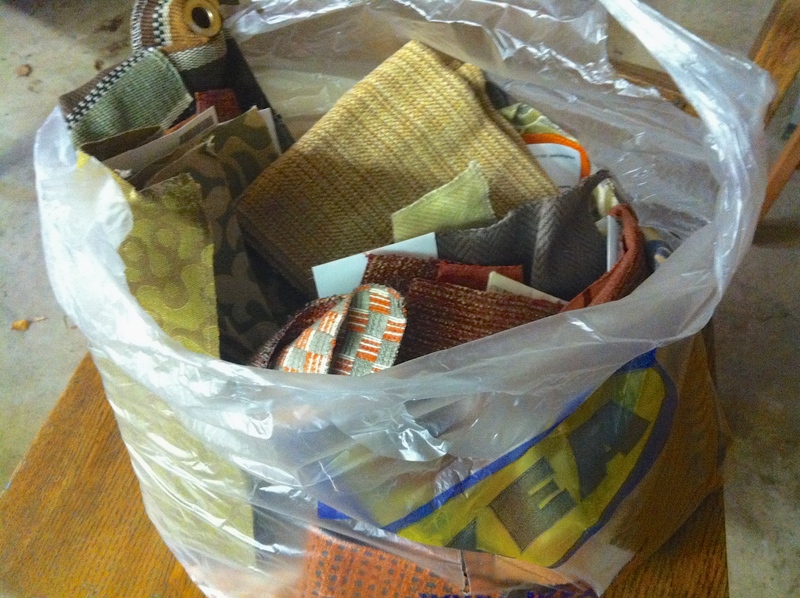 Something cozy and promising about knowing you have a bag of scraps waiting in the closet. I would make little zippered pouches. I had big plans to make a bunch for Christmas gifts, but only did three. The stress of a deadline took some fun out of it and I quit. The zippers and boxed corners were a little fidgety, but the scrappy fabrics were fun to mess around with. So glad you are blogging again! I need to get over my zipper fear. I did make some tote bags last fall, though, and I like the idea of using these fabrics for that. Thanks–you’ve got my brain going in a direction I hadn’t considered. I’m curious: What do you use the zippered pouches for? And how big are they? Love your idea behind this blog (I was a serious play-er as a child too) and excited to follow along. 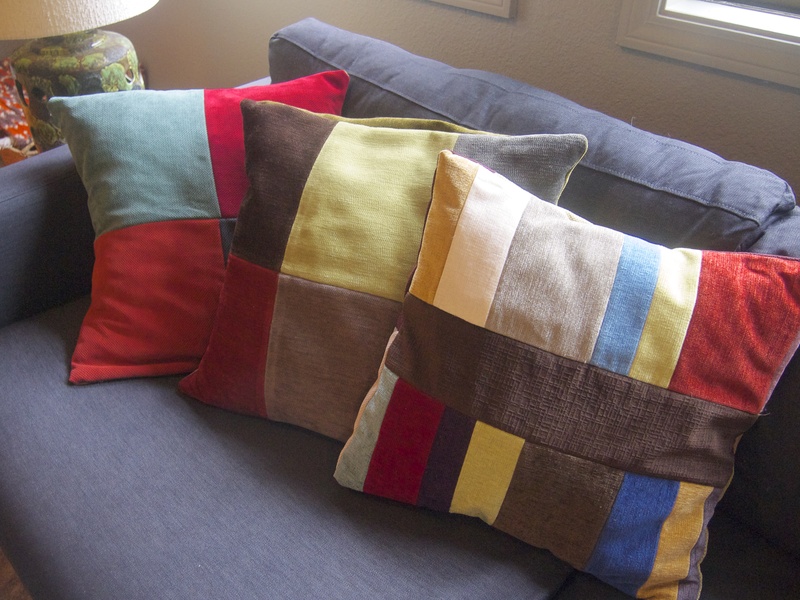 I’m terrible with scrap usage but LOVE the pillows you made. And agree that zipped pouches would be a wonderful project. I use zipped pouches to help keep my purse organized. I have one for pens, another for receipts, and another for gift cards (we use SCRIP as a way to earn money toward my kiddos school tuition so I’ve always got gift cards). It keeps me from having an overstuffed wallet or loose things floating around the bottom of my purse. I also have used them to stash and store knitting things – stitch markers, holders, dpns. Again, happy to see you back! That’s a great idea for zipped pouches. I don’t have a purse, but my computer bag is usually a mess. Going to think about how I might make that work for me. I’m constantly searching for things in that bag and would like to make it function better for me. Your blog was one of the ones that convinced me I wasn’t done with blogging yet. I really enjoy it, for multiple reasons. Looking forward to “talking” with you here and there.